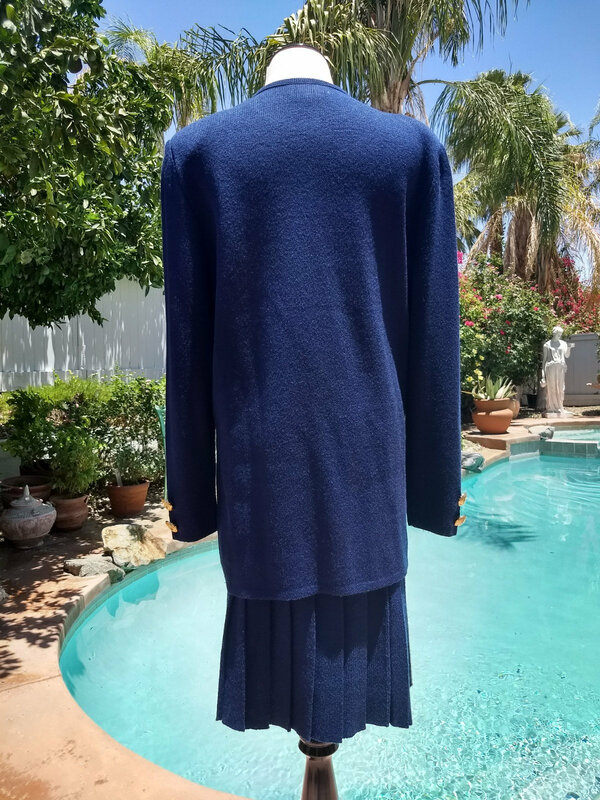 Mita 80's Navy Blue Knit 2 Piece Skirt Suit,Pleated Skirt,Gold Buttons,Size 6,Made in USA. 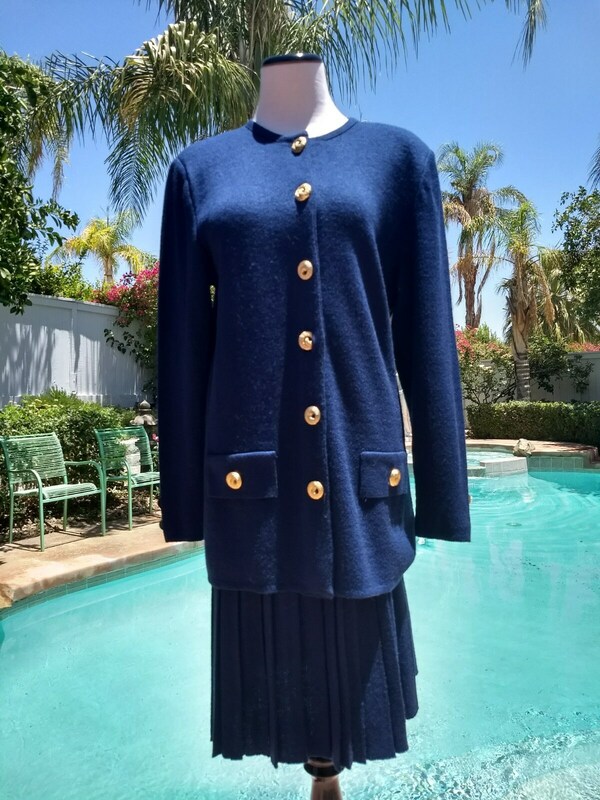 Mita Navy Blue Knit 2 Piece Skirt Suit,Pleated Skirt,Gold Buttons,Size 6,Made in USA. Classic acrylic/nylon blend knit suit with a pleated skirt. 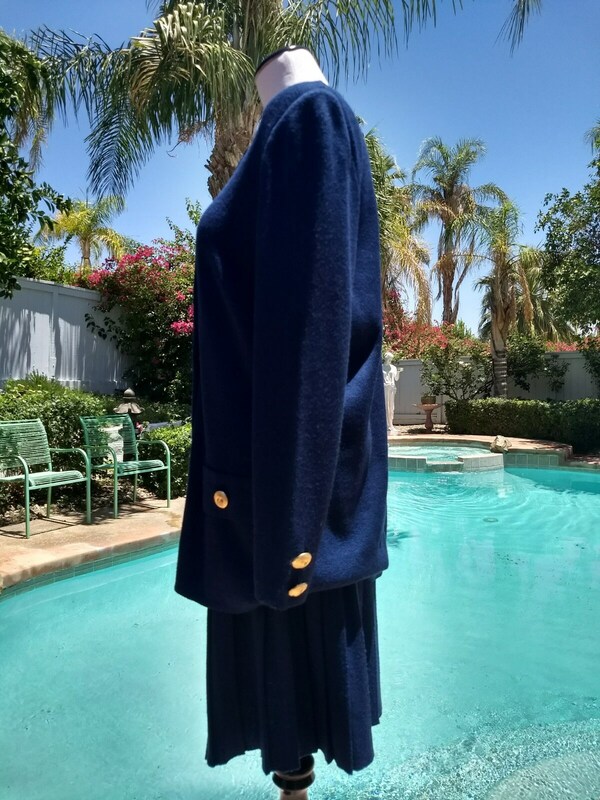 The jacket has padded shoulders,2 gold buttons on the cuffs,6 gold buttons down the front and 2 gold buttons on the lower pockets. 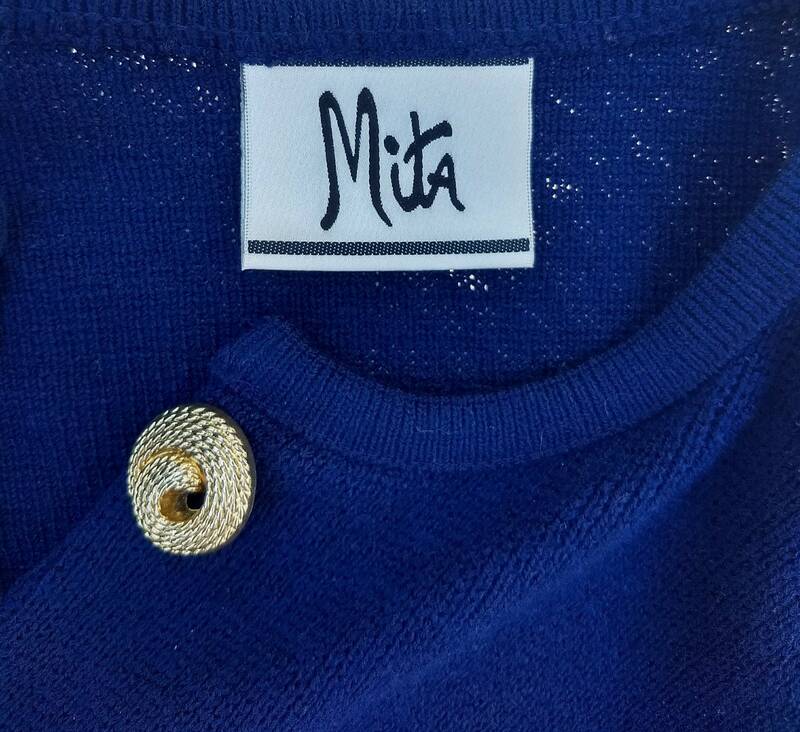 It is a deep navy blue and is in very good.excellent vintage condition.The label reads Mita,85%acrylic,15% nylon,size 6,made in USA.Please message if you need further details.